People’s Law School is delighted to relaunch a tried and true resource, Consumer and Debt Law, as a Clicklaw Wikibook. This problem-solving manual for advocates and other legal professionals helping clients with consumer or debt problems is now fully updated, fully online, and also available by print-on-demand. Covering over 45 topics on consumer purchases, contracts, borrowing money, and being in debt. Explains the relevant law and suggests ways to solve problems. What can I expect in court? The Provincial Court website contains a series of eNews articles written by judges and judicial justices to describe what happens at various proceedings in Provincial Court and offer suggestions on how to prepare for them. The Unfinished Story of Yes – This short animated video explains how Canada’s law of consent and sexual assault has shifted in the last few decades – and the deep flaws that remain in the justice system. The video was designed in collaboration with post-secondary students as part of the Only Yes Means Yes project. We Are Here: Women’s Experiences of the Barriers to Reporting Sexual Assault – Grounded in the firsthand knowledge of survivors, this report explores the significant barriers to reporting sexual assault through the criminal justice system. Its aim is to inspire change in society and the justice system to make reporting a viable option for all survivors who wish to pursue it. Non-medical cannabis is now legal in Canada. Here, you’ll find information on the laws and regulations for BC. Cannabis is illegal in most places outside of Canada. The personal information of users is therefore very sensitive. Some countries may deny entry to people who have purchased cannabis. 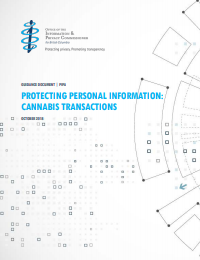 This guide was created to help cannabis retailers/purchasers understand their rights and obligations under PIPA. Youth with disabilities in BC face challenges when transitioning from childhood to adult services. This program helps youth aged 14 to 25, their parents and members of their Transition Support Teams, connect with the services they need, such as disability benefits, health services, or school supports. If you are involuntarily detained or certified under the B.C. Mental Health Act you have the right to a Mental Health Review Board Review Panel hearing. This guide helps you prepare. Written for legal advocates and lawyers, this guide walks you through preparing your client’s case, from first interview to the end of their Review Panel hearing. The following help sheets are now available in 5 languages: Chinese Simplified, Chinese Traditional, Persian, Punjabi, Spanish. Explains the Registered Disability Savings Plan (RDSP) from the federal government. The first booklet in the new series Your Welfare Rights, it explains the process of applying for income assistance. The series will replace the publication Your Welfare Rights: A Guide to BC Employment and Assistance. This new poster on contacting Legal Aid and free legal help is available in English, French, and Spanish. This new fact sheet outlines client and lawyer roles and responsibilities, so each knows what to expect from the legal aid contract. This new poster uses infographic to explain Gladue rights for Aboriginal people. A revised version of Social Assistance on Reserve in British Columbia, it explains getting income assistance if you live on reserve. This new two-page fact sheet gives you an overview of First Nations Court in BC. Need Help with Your Refugee Claim? This infocard on legal aid coverage for refugees is now available in Dari, Kurdish, and Pashto. A joint publication with West Coast LEAF, this updated publication teaches youth how to become safer online when they use social media. This new fact sheet tells you about statutory property guardianship, how it happens and the rights of adults to end it. This new 40-minute video discusses planning tools and other tips for avoiding the need for statutory property guardianship. Each of the following publications now has a fresh new look, new content, and more practical guidance. Both are available in multiple media formats: wikibook, EPUB (for reading on a tablet or e-reader), PDF (print version), and printed booklet (order via Crown Publications). Explains consumer rights for common purchases and contracts. Now includes a new section on making a contract. Covers 15 of the most common scams. Now includes new sections on romance scams, charity scams, and expanded coverage of online and computer scams. Many self-represented litigants find that having a trusted friend or family member with them to provide emotional support, take notes, and organize documents can be a big help. The BC Provincial Court recognizes this, and has adopted guidelines to make it easier to bring a support person to court. On June 1, 2017, the limit for small claims will increase to $35,000 from $25,000. This page has been updated to include this information and a link to the New Small Claims Procedures from the Provincial Court of BC. Note: The Provincial Court Resources pages will be updated for May 2017. This project looks at law and social policy issues that affect older woman and explores what can be done to address barriers to their quality of life. A collaboration with West Coast LEAF, this project tries to enhance the capacity of seniors-serving professionals to support older women fleeing violence occurring in the family and to inform older women of their rights in situations of abuse.